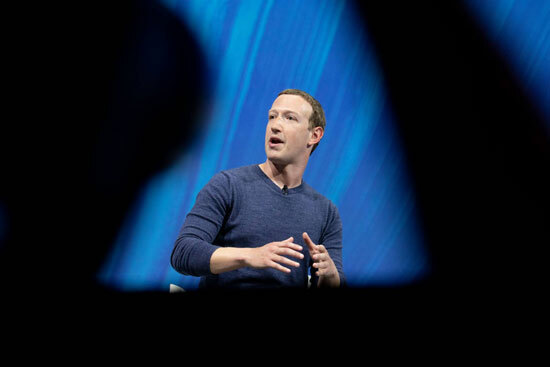 Facebook reported stellar fourth-quarter and year-end financial results at two weeks ago, as my new Fortune colleague Danielle Abril explores in some depth. Quarterly revenues jumped 30% to nearly $17 billion, an astounding growth rate off such a large number. Profits soared 61% to almost $7 billion. Facebook has more than 1.5 billion users, up 9% from a year earlier, again, a shocking increase given its saturation in richer countries and also notable for the broad geographic distribution of the user gains. In after-hours trading, Facebook’s shares soared. It has become clearer than ever that Facebook’s problems—enabling the stealing of elections, encouraging the persecution of ethnic minorities, shameful peddling of the personal data of its users, tardily copping to these transgressions—don’t matter all that much outside of precincts dominated by the chattering classes, places like New York, Washington, and San Francisco. In the real world, millions of people still love posting photos of their perfectly posed lives, comparing themselves with high school classmates, and watching silly videos—all content Facebook doesn’t pay a dime to produce. It’s a brilliant business model for CEO Mark Zuckerberg that throws off plenty of cash for hiring content chaperones and lobbyists to make his other problems go away. Not as if there were ever business problems in the first place. Speaking of Facebook, I recommend this long article by the never brief but always excellent Ben Thompson. He addresses the same issue I wrote on January, the mistake BuzzFeed and countless other publishers made thinking that Facebook would be their salvation/meal ticket. In “The BuzzFeed Lesson,” Thompson does something highly unusual in the media world: He admits he was wrong. He, like media executives who didn’t think things through properly, assumed Facebook would want to share the economics of the audiences it was attracting on the back of publishers’ intellectual property. Facebook, instead, kept the loot for itself, making a mockery not just of trying to leverage Facebook’s platform but also selling digital ads at all. A telling comment by one of BuzzFeed’s laid off writers illustrated the industry’s naïvete on late January. “Our work has always, always been celebrated, internally and by readers,” Jessica Testa told The New York Times. “We’ve changed laws, we’ve won awards, we have great traffic.” Testa is completely right about the quality of work she and her colleagues did. But she’s channeling the industry executives who over-invested in a business model that doesn’t work. Great traffic doesn’t matter in a world where Facebook and Google hoover up all the revenue. What counts is charging money for that great work.